Jamey Johnson has one of the sharpest senses of humor in country music, which is why his acerbic songs cut so deep. 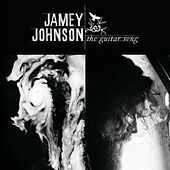 The Guitar Song is a loose concept album: Part one is the "Black Album," filled with the moody, bitter songs in which Johnson excels; part two is the "White Album," revealing Johnson as upbeat as he gets. "Can't Cash My Checks" is a bloody-but-unbowed slow burner that captures the album's best vocal performances from Johnson. "Macon" is a slow-building, Southern rock masterpiece; the Southern gospel background singers take this one to a higher place. Other highlights include "Lonely At the Top," and "Playing the Part" – both of deal with the trappings of fame.